The email arrived from my children’s grandmother in early October. It is indeed that time of the year when we often buy gifts for people we love. You have children in your life that you love. You want to give them something that they will love and cherish, that will make them remember your love for them. I have a proposal for you: This year, give the gift of camp. Godparents / Grandparents / Aunts / Uncles / Caring adults of all kinds – consider the gift of camp this year. We often hear about how we remember experiences more than we remember material gifts. 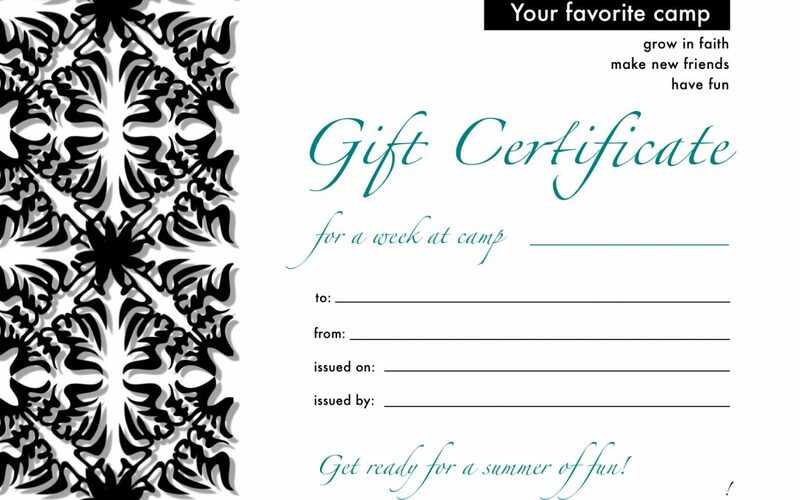 What if contact your child’s church camp and buy a gift certificate for summer 2018? Wrap it with a t-shirt or sweatshirt from the camp, and give the gift of faith and fun! Church members – If your students head to a Christian camp for one week, let’s say, from Sunday noon until Friday noon (as the campers in Wisconsin often do), they will be immersed in 120 hours of Christian community, scripture, prayer and worship. Can you do that in your congregation? Not many of us can. Some of your students are blessed to have immersive faith experiences every day in their homes. Not all do. Isn’t immersive faith community worth investing in? Advocate for camp scholarships in your congregation’s budget for next year. Church leaders – How many 18, 19, and 20 year olds do you have in leadership in your congregation? Not many of us have many, if any, Christian young adults in our congregations and ministries. At camp, these are the people who lead worship, lead Bible study, quote scripture while standing on a dock watching a sunset, who pray with your student when they are homesick. What role models for our youth – to see that faith isn’t just something for children and old people! (to them anyone over 25 is old) Isn’t this worth investing in? Ask big. See if you can find sponsors within the congregation to partially or fully fund camp experiences for your young people. Love kids, but none of these categories apply to you? Send a gift to a camp near you, or to the camp affiliated with your faith community. The cost of providing a week of camp is often far higher than the amount that is charged to camper families. Our church camps rely on your generosity to make up the difference. What does that money do? The camps recruit, hire and train staff whose stipends are lower than what they would make working for minimum wage this summer, but is an expense to the camp never the less. The facilities are cleaned and regularly maintained. The year round staff and board members attend professional development courses. They print brochures and maintain office equipment. They prepare quality food. They hire lifeguards and ropes course instructors to keep our children safe. All these things put the pieces in place to make camp into a positive, faith affirming experience for youth. Camp is a gift worth giving.